Top of the morning to ya! & Happy St Patrick's Day! May the luck of the Irish be with you! You’re havin a single? We’re Dublin up! 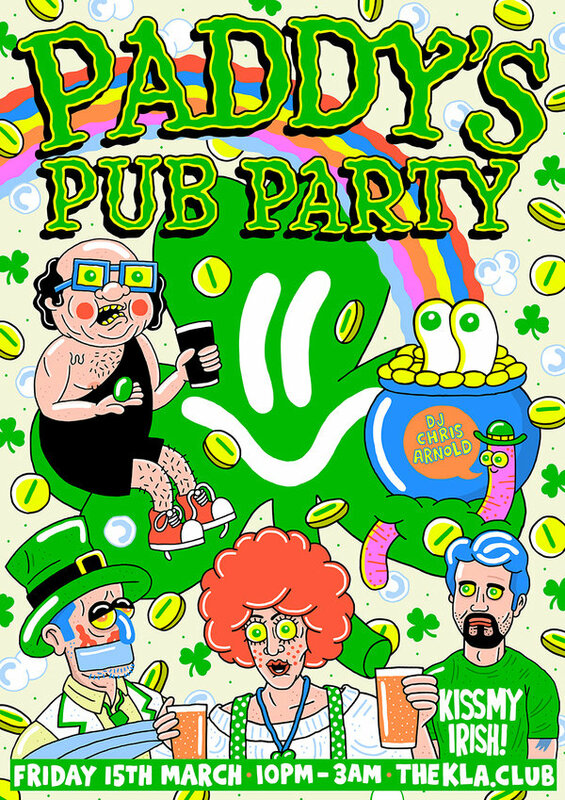 We're throwing a party like no other and bringing our good friends at the Paddy's Irish Bar back to Thekla. Come and get sloppy and expect to hear every song from every Always Sunny In Philadelphia episode, ever. 2 Da Groove - Barry White - Biz Markie - Bobby Brown - Boyz II Men - Brian Adams - Bruce Springsteen - Camille Saint-Saens - Carly Rae Jepsen - Curtis Mayfield - Django Django - Elvis Presley - Faith No More - Gary Numan - Gnarls Barkley - Gwen Stefani - Heart - Jim Blake - John Ottman - Bon Jovi - Kate Bush - Lionel Richie - New Kids on the Block - Nina Simone - Notorious B.I.G. - Prodigy - R. Kelly - Randy Newman - Rick Astley - Rick Springfield - Roy Orbison - Seal - Steve Winwood - Talking Heads - The Doors - The Drifters - Thin Lizzy - TLC - Whitesnake - Wyclef Jean + Many more!